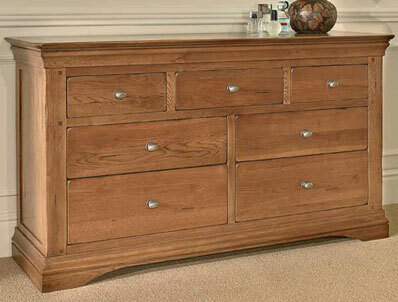 This 7 drawer mult-chset is from the Sleepcraft Phillipe collection. This timeless collection has been beautifully crafted from solid oak using traditional construction methods to create this French inspired range. 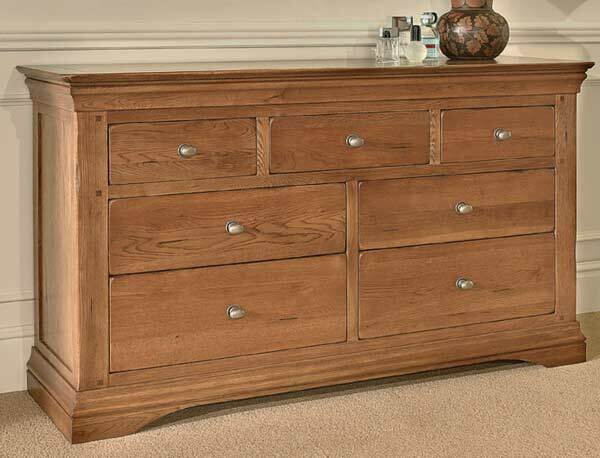 Carefully distressed and hand finished with a warm stain to enhance the rich detailing of this sophisticated furniture. All parts are solid oak including the carcas, drawers and backs. As standard the handles/knobs are pewter, wooden knobs are available at an extra cost.